Business as usual for S'pore after GE 2015? As the fervour of the General Election subsides and noises of post-mortem analyses settle, can we expect business as usual for the newly elected Government? With such a strong mandate given to the ruling party, should we expect or can Singapore afford to be business as usual? 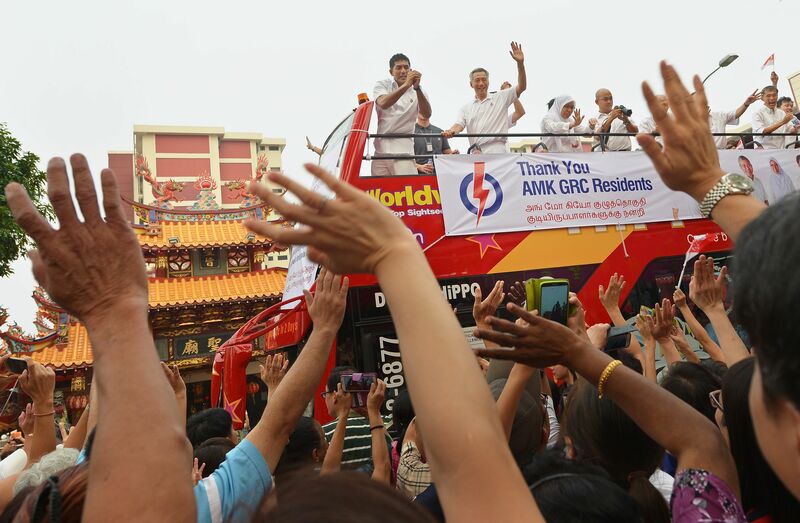 During the GE, there was some common ground between the People's Action Party (PAP) and opposition parties, but stark differences in terms of how to deal with them. First both the PAP and the opposition want Singapore to be less dependent on cheap and abundant supply of blue collar foreign workers and to ensure that the indigenous workforce continues to enjoy decent pay and good wage growth so as to cope well with the rising cost of living. Some opposition parties, such as the Workers' Party (WP) and Singapore Democratic Party (SDP), are in favour of a legislated minimum wage policy, and swifter and significant reduction in the number of foreign workers even if it means lower economic growth. In contrast, the PAP prefers to achieve decent pay and good wage growth through painstaking effort to push for productivity gains and through its progressive wage model policy, which sets minimum salary scales for workers in some sectors like cleaning, with pay increases to be enjoyed as productivity and skills go up. The PAP also believes in seizing good economic growth during favourable external environments, arguing that this is the best way to cope with the rising cost of living. Second, both the PAP and the opposition want to see a higher ratio of workers who are indigenous professionals, executive, managers and technicians (PMETs), and to see them have higher pay. Forward-planning Singapore is used to futuristic scenario planning exercises to guide the Government and people to think through long-term challenges. But it is less equipped when it comes to quantitative assessments of policy options. In this respect, we would like to suggest a review of existing policies using quantitative research methods. While some opposition parties like the Singaporeans First party suggested that jobs be reserved for Singaporeans and that foreign PMET numbers be reduced, the PAP argued for a hybrid PMET policy, with plans under SkillsFuture to ensure a Singaporean-core work team, augmented with foreign PMETs from diverse countries of origin within a company and industry. A Fair Consideration Framework and a national jobs bank have also been in place to ensure employers give opportunities to local wokers. Third, both the PAP and the opposition want to ensure that Singaporeans have sufficient means for coping with retirement and old age, especially lower-income workers. Some opposition parties like the WP wanted to lower the payout age for Central Provident Fund (CPF) money from 65 to 60 years. Others objected to tampering with or raising the old minimum sum. The PAP argued for partial withdrawal at the age of 55, and a gradual rise in the minimum sum that people need to set for their old age. The PAP also introduced CPF Life, an annuity that pools CPF members' funds to give them a payout for life from age 65. Finally, both the PAP and the opposition want to see significant improvement in social safety net for the majority of Singaporeans. Opposition parties like the SDP strongly urged the setting up of a Western model of a welfare state with unemployment benefits and significant subsidy for basic public services, including healthcare, housing and education. The PAP is resisting such a welfare state. It prefers to keep basic public services affordable, not free, and objects to unemployment insurance benefits, preferring instead the Workfare Income Supplement (WIS) to supplement low wages, as it believes the best way to mitigate income disparity is to get workers to stay in employment, not help them when they are unemployed. The PAP's arguments on these thorny issues must have gained traction for it to have secured nearly 70 per cent of the vote in the elections. At the same time however, there are some areas of economic policies which merit serious rethinking. Many policies relevant in the past continue to be relevant today, and may stand Singapore in good stead in the future. A good example might be the policy of growing an external wing to the economy, mooted by Mr Lee Kuan Yew in the early 1990s, which has led to the expansion of Singapore's external economy. What has been the benefits of such a policy? Such global-driven growth for Singapore can be quantified and can continue to be a key engine of growth for Singapore's future. Singapore also needs to fine-tune some policies in the post-Lee Kuan Yew era, in response to changes in conditions. One that comes to mind is the WIS. Such policies, once introduced, are politically difficult to withdraw. Therefore we ought to quantify how much it will cost future governments and whether we can design incentives for an exit mechanism for those who are benefiting from it. At the same time, the country must also be bold to formulate new growth strategies, extrapolating from new emerging trends, and with a mindset of being quick to seize opportunities. For example, there is much talk about the 100km-long canal over the Isthmus of Kra. This was brought up again this year, with an estimate that it would cost at least US$20 billion (S$28 billion) to build and 10 years to complete. If this proposed project is realised, how would the top and bottom lines of PSA and Changi Airport be affected? One thing is for sure: SG50 has come and will be gone, but the endeavour to keep Singapore relevant and competitive has to continue. •Dr Tan Khee Giap is Co-Director, Asia Competitiveness Institute, Lee Kuan Yew School of Public Policy, National University of Singapore . Mr Ron Sim is executive chairman of Osim, a lifestyle products company known for its massage chairs.